These pashminas are made from a very soft yarn giving them a lovely softness to the touch. 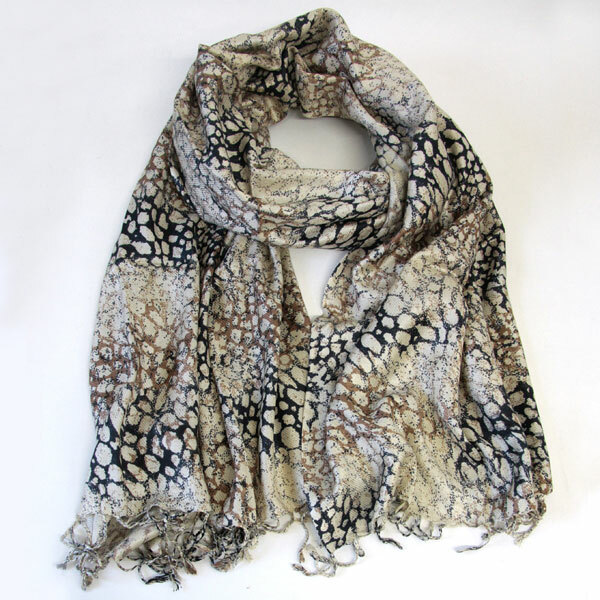 The timeless and ever popular animal print design makes this pashmina a perfect soft, warm scarf for winter and, for Summer, it is perfect as a wrap / shawl for the cooler evening. 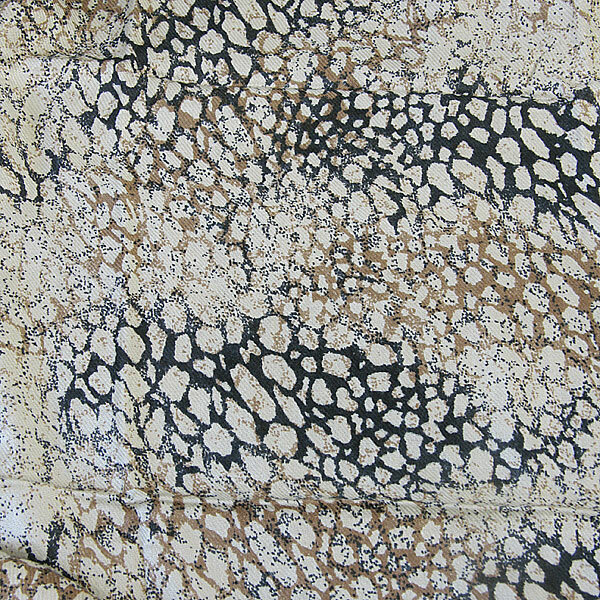 This pashmina has a soft creamy beige background on which is a leopard print design is printed in tones of rusty brown and black. It is finished with a plated fringe. The material is a 100% viscose. The weight of the pashmina is 165gms. This lovely item is supplied by a BAFTS registered fair trade UK importer and is made in India.